Another good solution from Europe to Taiwan based on China Airlines direct service this time discounted non-stop flights from Frankfurt to Taipei from €458 roundtrip including all taxes, meals and checked-in luggage. If you appreciate the cheapest solution you can consider promotion based on Air China. Return flihgts from Munich, Dusseldorf or Frankfurt still available from €354. You can refer to both options below in our post.. In case of this China Airlines promotion you will find the cheapest flights when departing from Frankfurt to Taipei from 2nd of April to 11th of June or 27th of August to 26th of September and 16th of October to 10th of December 2019. MBased on date of your outbound flight from Germany to Taiwan. Max stay 1 month. This promo sale is available till 21st of March or until sold out. Need affordable hotel in Taipei you can book your accommodation via Booking.com or Hotels.com. Germany – Taipei from €354 (Air China flights with a layover). 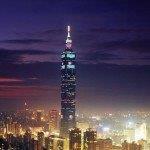 Booking sample of cheap non-stop flights from Frankfurt to Taipei, Taiwan from €458! As per our above link you would depart from Germany to Taipei on 20th of May. Inbound from Taiwan back to Frankfurt on 3rd of June 2019.